Well… Neil is right about a couple of things, at least. The takedown of Apuzzo (which wasn’t just me — ehancock participated as well) was in fact a pretty detailed one. But Neil obviously still believes in Mr. Apuzzo. His belief could not be more misplaced. I had intended to retire from this whole issue more than a week ago, but apparently there’s some more that still needs to be said. For one thing, my own observations on Minor v Happersett have been a bit scattered. So let’s pull them together. Why the Claim that Minor v Happersett Established a “Binding Precedent” for the “Definition” of “Natural Born Citizen” Is Completely False. The claim is just false. And it can easily be seen to be false. Not just for ONE reason, either. We can see the falsehood of this claim in no less than FIVE different ways. This first reason takes a little bit of understanding of how the law works, and a couple of legal terms. But by itself, this fact is fatal to the claim. It is simply legally impossible that the Supreme Court in Minor v Happersett “created a binding precedent as to the definition of ‘natural born citizen'” — and in this article I will explain why. A court’s statement that has full authority will serve as legal precedent. This means that lower courts are legally “bound” to make similar decisions in all future similar cases. And this is what one means by a “binding precedent.” “Binding” means that lower courts are legally required to follow it. There are other judicial statements that don’t carry nearly as much authority, and that therefore do not create precedent. So which are the authoritative statements that create precedent? These come from those statements that form part of the carefully-reasoned rationale for the actual decision in a case. Now there’s a Latin phrase that lawyers and judges use as the technical, legal term for this. It’s called ratio decidendi. And this ratio decidendi — the rationale for the decision — is where legally binding precedents are created. It is a legal phrase which refers to the legal, moral, political, and social principles used by a court to compose the rationale of a particular judgment. Unlike obiter dicta, the ratio decidendi is, as a general rule, binding on courts of lower and later jurisdiction—through the doctrine of stare decisis [standing by past decisions]. Certain courts are able to overrule decisions of a court of co-ordinate jurisdiction—however out of interests of judicial comity they generally try to follow co-ordinate rationes. So the ratio decidendi has to do with the legal points on which the parties in the case “actually fought.” And it has to do with the principles and legal reasoning on which the particular case was decided. If a comment wasn’t on a point about which the parties were fighting, and if it doesn’t lay down some principle on which the case was actually decided, then it’s not part of the rationale for the decision. And it generally does not establish any binding precedent. All remarks that are outside of the core reasoning for a case are considered to be one or another form of “side comments.” Such side comments may not be as thoroughly researched as the core reasoning. They are not part of the holding in a case, and they do not carry the same authority. For this reason, such statements simply do not — immediately, at least — create precedents. There’s a Latin term for this as well: dictum. And it simply means “something said.” The plural of “dictum” is “dicta,” which is the more commonly used term. Another test of whether a statement is dicta is whether the result of the specific case would be any different without the statement. If the statement has no effect on the outcome of the case, then the statement is dicta. The ratio decidendi is authoritative, and it serves as a binding precedent. Any other statements (or dicta) might or might not be persuasive. In fact, they may not be very persuasive at all. But there does exist an exception to this general rule. If a court gets really interested in a side issue, researches it thoroughly and at length, and presents a well-reasoned conclusion to such research, then dicta can be persuasive and serve as a clear guiding authority to future courts ruling on a similar matter. Such dicta are sometimes called judicial dicta, as opposed to mere obiter dicta. To my understanding (maybe some actual lawyer can weigh in on this point), judicial dicta still do not make up a legally binding precedent — although a well-reasoned, thorough, authoritative analysis and argument can function in almost the same way. And a future court making a decision based on such authoritative judicial dicta would then establish an actual precedent that is technically binding. What Is the Statement in Minor? Ratio Decidendi, Judicial Dicta, or Obiter Dicta? Mario Apuzzo and others have taken up this mantra — because it purports to “prove” that two citizen parents are required to make a natural-born citizen. In fact, it’s pretty much the “most authoritative” basis for their claim. And we’re about to pull the rug totally out from under their feet. First I’d like to note that even if this claim were accurate — which it absolutely is not — their entire argument would still fail completely for a reason I’ll mention at the end of this five-part series. But let’s go ahead and entertain the Minor v Happersett “binding precedent” claim. First, we’ll take a look at the passage used to justify the Donofrio/Apuzzo claim, so we’re clear on exactly what is being claimed here. Then, in order to know whether or not this claim even has any chance of being true, we will need to know what the Minor case was about — what the parties were and were not fighting over. We will also need to know whether the statement that Donofrio and Apuzzo refer to was part of that case’s core reasoning — the ratio decidendi — or whether it was dicta. And if it was dicta, we will need to know what kind of dicta it was. The fact is, no significant legal authority has ever, in the past history of the United States, claimed that such a division exists. At common-law, with the nomenclature of which the framers of the Constitution were familiar, it was never doubted that all children born in a country of parents who were its citizens became themselves, upon their birth, citizens also. These were natives, or natural-born citizens, as distinguished from aliens or foreigners. Some authorities go further and include as citizens children born within the jurisdiction without reference to the citizenship of their parents. As to this class there have been doubts, but never as to the first. For the purposes of this case it is not necessary to solve these doubts. It is sufficient for everything we have now to consider that all children born of citizen parents within the jurisdiction are themselves citizens. Donofrio, Apuzzo and other “birthers” claim that this paragraph establishes a “binding precedent” that two citizen parents are required, as well as birth on US soil, to make a natural born citizen. Are they right? Let’s see. How Does the Claim Relate to the Case? The facts of the case are this: In October of 1872, Mrs. Virginia Minor applied in the State of Missouri to register to vote. She was turned away by the Registrar, one Reese Happersett. Afterward, she took Happersett to court, seeking the right to vote. First, all parties in the case had already agreed and conceded that Virginia Minor was a native-born citizen of the United States. There was therefore no need for the Court to actually make a determination as to whether she was a citizen or not — because everybody was already in agreement on that point. So the discussion regarding her citizenship was not necessary to the ruling. Secondly, the Court stated that there was no doubt that Virginia Minor was a natural born citizen. Having said that — her status as a natural born citizen — as opposed to being a naturalized citizen — was not at all a factor in the case. So her status as a natural born citizen was not necessary to the ruling. The reason this is true is because voting rights of natural born citizens are exactly and precisely the same as the voting rights of naturalized citizens — and nobody ever contended differently. Third, Virginia Minor was not even in the class of people that Donofrio and Apuzzo claim the Court issued a “binding precedent” regarding. They both claim that in this case the Supreme Court issued a “binding precedent” on the status of people born on US soil to parents who were not US citizens at the time of their birth. But any such statement — as to whether such people are “natural born citizens,” “born citizens,” “naturalized citizens,” “not US citizens at all,” or “little green men from Mars,” has no direct bearing on the outcome of this case whatsoever, as Virginia Minor isn’t even a member of that group of people! I repeat: The Supreme Court could have stated that children born on US soil of non-citizen parents were legally the same as little green men from Mars, and it would not have made the slightest difference whatsoever as to the outcome of this case. For all three of these reasons, any statement by the Court on the citizenship status of such persons is CLEARLY dicta. There’s no contest on this point. The citizenship status of children born on US soil to non-citizen parents literally had nothing to do with the decision in this case. It was completely a side issue. So anything they may have said on the matter is pure and undeniable dicta. It might still be the more authoritative, “judicial” dicta, however. Let’s test it and see. What Kind of Dicta Was it? Judicial Dicta, or Obiter Dicta? Remember that we stated earlier that persuasive (or “judicial”) dicta is researched thoroughly and at length, and presents a well-reasoned conclusion. That’s it. For the entire case. Now two sentences does not in any way constitute research or argument. Two sentences does not constitute any substantial discussion at all. Compare this with the 50 pages or so of discussion that the Court did on the issue of whether Wong Kim Ark was a citizen — and the massive amount of research that went into those 50-plus pages. I haven’t attempted to count the references precisely, but they appear to number well over 200. Compare it, in fact, with 6 pages that the Court dedicated to the discussion of whether Virginia Minor was a citizen of the United States — in a case in which all parties had already agreed that she was! It clearly forms no part of the rationale for the decision in the case. And it is most certainly NOT the authoritative kind of dicta, either. It is merely obiter dictum — a remark made in passing. And obiter dictum is completely incapable of establishing a binding precedent. “This statement is absolutely outrageous and utterly hypocritical on your part — YOU who CLAIM that Minor v Happersett supposedly set a “BINDING PRECEDENT” as to a supposed “definition” of natural born citizen. The phrase from Minor that you proof-text for your utterly bogus claim is not only NOWHERE REMOTELY NEAR to being the “holding” that you now demand for Wong Kim Ark — in fact, it’s not even directly relevant to the decision in Minor v Happersett — as it was freely acknowledged in advance by all parties that Virginia Minor was, in fact, a citizen of the United States. Your hypocrisy in making this demand of US v Wong Kim Ark, when you abuse Minor v Happersett by taking dicta from a discussion that was clearly peripheral — since it was conceded by all parties that Virginia Minor was a US citizen — and then attempting to elevate that dicta to the status of a “binding precedent,” is just breathtakingly brazen. The Evidence So Far Is Already Conclusive — But There’s Plenty More. Our analysis so far is enough to authoritatively conclude that the claim by both Leo Donofrio and Mario Apuzzo — that Minor v Happersett created a “binding precedent” that it takes two citizen parents to make a natural born citizen — is absolutely false. And since it could be presumed that any even halfway competent lawyer ought to clearly understand the difference between ratio decidendi and obiter dictum, I believe there is already enough evidence here to reasonably conclude that Donofrio and Apuzzo haven’t just made a mistake. In fact, Apuzzo himself actually demonstrates that he knows the difference between ratio decidendi and obiter dictum in his comment to ehancock. So I believe there’s enough evidence for a reasonable person to conclude that Misters Donofrio and Apuzzo — who most certainly ought to know the difference between the two types of statements — are in fact lying; particularly when you start combining this with the track record of other statements made by both that are also known to be untrue. It gets worse than this. Much worse. Because this is not, by a long shot, the only good evidence we have that their claim regarding Minor v Happersett is false. It’s only the first of FIVE different reasons by which we can clearly identify the claim to be a false one. This entry was posted in Answering Critics, Conclusions, Natural Born Citizen, New Information. Bookmark the permalink. Your point about what question Minor answered is specious. The question to which you refer was the parties’ question, not the Court’s question. The Court did not simply accept the parties’ concession that Minor was a “citizen” under the Fourteenth Amendment. It showed by way of a thorough and well-reasoned analysis that women had always been considered to be “citizens,” even before the Fourteenth Amendment was adopted and that they therefore did not need the Fourteenth Amendment to be “citizens.” The Court also showed that given that Virginia Minor was born to citizen parents, she was not only a “citizen” but also a “natural-born citizen.” This is the first time that the U.S. Supreme Court ruled that women could be as much as men “citizens” and “natural-born citizens” and the decision was, indeed, precedential in that regard. Second, the Court defined in that same paragraph a “natural-born citizen” as a child born in a country to citizen parents and a child born in the United States to alien parents simply did not satisfy that definition. Third, the Founders and Framers, in using the “natural born Citizen,” clause for presidential eligibility, could not have intended that the clause would have had more than one definition. Minor gave us that only one definition and said that there were no doubts about that definition. The Founders and Framers would have known and accepted that same definition that had no doubts attached to it and used it for presidential eligibility which would have needed bright line standards. Then in U.S. v. Wong Kim Ark, 169 U.S. 649 (1898), the Court said in referring to Minor: “The decision in that case was that a woman born of citizen parents within the United States was a citizen of the United States, although not entitled to vote, the right to the elective franchise not being essential to citizenship.” U.S. v. Wong Kim Ark, 169 U.S. 649, 680 (1898). Looks like both Lockwood and Wong told us that Minor “held” or made a “decision” about Virginia Minor’s citizenship. Id. at 680. So as you can see, there is no merit to your position on Minor. You have not in the least shown that I am a “liar” in my position. Your point about what question Minor answered is specious. The question to which you refer was the parties’ question, not the Court’s question. True. However, the Court’s statements regarding the status of persons who were born on US soil of non-citizens took up a total of three sentences, ONE of which was to say there were doubts, and one of which was to say it was not necessary to resolve those doubts!!! No discussion. No authorities cited. No references at all. Their treatment of Virginia Minor’s citizenship status — in a case in which all parties had already conceded that she was a citizen — was FAR more extensive than their three sentences touching on the citizenship status of persons born on US soil to non-citizen parents — which was clearly and undeniably NOT the topic at hand. And yet you insist that they thereby created a binding precedent that would establish the criteria for Presidential qualification. Why do you make that claim, Mario? Yes. They said there was no doubt about the fact that she was a natural born citizen. This is the first time that the U.S. Supreme Court ruled that women could be as much as men “citizens” and “natural-born citizens” and the decision was, indeed, precedential in that regard. Fine. Let’s say that the Court’s finding regarding Virginia Minor are precedent in regard to the citizenship status of women — even though it was conceded by all before the case began that she was a citizen. By that token, the Court’s findings regarding the citizenship status of Wong Kim Ark is FAR more clearly precedent as to the status of persons born in the US of non-citizen parents. Because there’s no denying whatsoever that the discussion in THAT case was central to the case’s final disposition. Since the Constitution only mentions “natural born citizens” and naturalized citizens, any child born here of non-citizen parents would have to be one or the other. In other words, if such a child was a citizen, then he was a natural-born citizen. It’s not that complicated. Neither the Minor Court nor the Wong Court said the Fourteenth Amendment altered the meaning of an Article II “natural born citizen.” The Fourteenth Amendment only ensured such citizenship rights for ALL Americans. Those in Congress who sponsored and spoke for both the Civil Rights Act of 1866 repeatedly affirmed their understanding that the citizenship provisions in both were simply declaratory of what the law already was. They were equally clear that the law — at least in regard to white European immigrants — had always been that the children born here of such immigrants, even though the parents might not be citizens themselves, were natural born citizens. Third, the Founders and Framers, in using the “natural born Citizen,” clause for presidential eligibility, could not have intended that the clause would have had more than one definition. Minor gave us that only one definition and said that there were no doubts about that definition. This is a transparent and absolute falsehood. As seen in the article referenced, they gave no “definition” of the term. And they never stated that there were “no doubts about that [non-existent] definition.” They stated that it was “never doubted” that a person born on US soil of citizen parents was a citizen. ENORMOUS difference. Your claim is simply, absolutely and undeniably false. I sure would like to get a count of how many false statements you’ve made concerning this issue. The Founders and Framers would have known and accepted that same definition that had no doubts attached to it and used it for presidential eligibility which would have needed bright line standards. There is in fact no actual doubt about what “natural born citizen” meant. There is no doubt because the word “citizen” was directly analogous to the word that had previously been used — “subject.” The Supreme Court itself has told us this. And we have documented use of the terms “subject” and “citizen” absolutely synonymously in the early United States. There is no doubt because the analogous term, “natural born subject,” had been used for CENTURIES, and it had a clear meaning which included the children born here of non-citizens. That the Court in Minor believed — at that time — that there were some doubts about that fact is only a reflection of the fact that they didn’t thoroughly research the issue. You claim that when they said, “At common-law…” they were referring exclusively to American common law, and excluding English common law. Our courts have repeatedly stated this is not the case, that we must look to the English common law in order to properly understand the Constitution, as that is the language it was written in. There is no doubt that the Framers of the Constitution meant what had always been meant by the term, because it NEVER appears in connection with Vattel’s concept until 10 years after the Constitution, because it was a well-known phrase, and because there was apparently no debate at all — at least beyond the Committee level — in the Constitutional Convention as to what it meant. The statement is absolutely false. Since the Constitution only ever recognized “natural born citizens” and provided for Congress to establish rules for “naturalized citizens” — and later at least one Supreme Court would hold that a native could not be naturalized! — if they were “even ‘citizens’,” then they were NATURAL-BORN citizens. This is another yet falsehood on your part, endlessly repeated. The Naturalization Acts addressed the status of children born overseas to US citizen parents. They had not one single word to say about the status of children born on US soil. And yet you — falsely — claim that laws that did not mention those persons controlled their citizenship status. The claim is completely bogus. Looks like both Lockwood and Wong told us that Minor “held” or made a “decision” about Virginia Minor’s citizenship. Okay. But the discussion in US v Wong Kim Ark was far more central to that case than the discussion of Virginia Minor’s citizenship was to her case. And the Court in Wong used “natural-born” some three dozen times. And at least a few of those references make it abundantly clear that that’s precisely what they found Mr. Wong to be. On the contrary, I have shown that you have repeatedly produced known and verifiable false statements. Either you’re a liar, or you’re deluded in a way that could only be described as pathological. So you tell me: Which is it? Duh. In fact, the entire paragraph is about natural born citizenship so it makes no sense that they would be talking about another type of citizenship. Again, Mario is trying to read his meaning into language that does not say what he wants. What else can he do? The second problem is that his entire analysis of the case is wrong. He needs to hire a first year law student to show him how to do a case outline. Virgina Minor citizenship was admitted by defendant in the original pleading and was never contested by defendant. Such is listed in the stipulated facts by Waite and hance was not before the court. In fact, there is nothing in the recored of the Court, or the court below, as to the status of her parents or where she was born. The discussion of citizenship in the case was not about Minor’s citizenship. The dispostion of the case was that nothing in the Constitution granted anyone the right to vote. 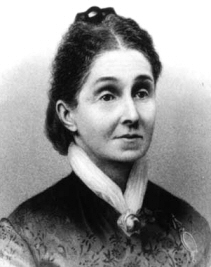 Virginia Minor’s primary suffrage argument was that she was a citizen under the 14th Amendment and that voting was a privilege of such citizenship under the Privileges and Immunites Clause. The Court responded that women had always been citizens, had never had the right to vote, suffrage had never been a privilege of citizenship and therefore sufferage is not a right to citizenship under the 14th Amendment. In making the argument that women were always citizens, the Court gave 5 different examples of why women had always been citizens including that they had always been natural born citizens under the original Constitution. The Court, like it would do in Wong Kim Ark, said it must look to the common law to determine who were natural born citizens. However, rather than examining the common law rule in detail like Wong Kim Ark, the Court simply asserted that there had never been doubts that native born children of citizens were natural born citizens but that some have had doubts about the citizenship of native born children of aliens. The Court does not tell us who had such doubts or what the doubts were as such were not necessary for purposes of the case. It was sufficient for the Court to show that the class of persons that there were no doubts about included women to further its point that women had always been citizens. It seems one could argue that making the point that woman had always been citizens is part of the rationale of his decision and hence that point can be argued to be part of the holding. However, the court tells us it is unnecessary to resolve the parentage issue to make such point. It is simply dishonest to claim the court in anyway held, stated or in any way implied native born childern of aliens were not natural born as it expressly declined to such issue. So, yesterday, I cited 25 clear statements from the Supreme Court making clear natural born subject meant the same thing as natural born citizen, that our common law of citizenship was the same as England and the native born citizens were eligible to be President. To claim Minor, a case which declined to address the issue, supercedes all these clear statements and somehow is the only authority that counts is pretty pathological. Another interesting point is that the Court never calls Minor a natural born citizen. Supposedly we are supposed to make such inference even though we are never told the details of her birth. Notice that Mario’s big argument is that Justice Gray never called WKA a natural born citizen even though he made clear a person of his status was coverd under the English common law rule that was incorporated into the NBC clause. Apparently, we can infer Minor was natural born, not not infer WKA was despite the clear statement that he was covered under the rule that defined who was natural born. This is really getting silly at this point. I can’t find anything to disagree with in your comments. Silly it may be, but the claims can seem very plausible to the average uninformed person who simply hears them and sees Apuzzo apparently has all this research and it all sounds good at first blush. Until the balloon is popped. I am releasing a new post that puts Mr. Apuzzo on the hot seat, over here.